Struggling to find your tribe online? I know where they are hiding. With over one billion active users, the platform is a staple for many successful businesses. It's how I've grown my business to six figures, and there's plenty more of the pie to go around. With Instagram rolling out new business-specific features every couple of months, there is no better time to build up your following from scratch... THAN NOW. 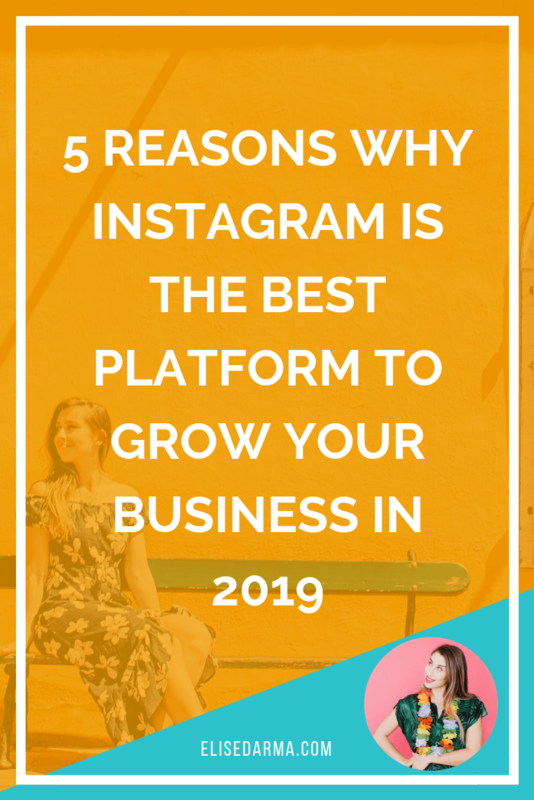 And here are five reasons why I believe Instagram is SO key to invest in today for your business. Instagram has released tons of new features over the last six months. From IG Stories to IGTV and even 4-way calling, these new updates are powerful tools you can use to reach potential customers and grow your business. How to make clickable IGTV cover stories. Click HERE to read my IGTV guide. Gone are the days where you need to screenshot user-generated content to share it in your Stories. Instagram has now rolled out a feature that lets you do that in just a few taps. Not only will your customers love the shout-out, but it's all the social proof you need to show off the awesomeness of your brand. Or you can share any Story you're tagged in. Then you'll LOVE shoppable tags. The feature lets qualified business profiles tag their products in images and videos, and turn them into shoppable links. With the feature now extended to Stories, it's an incredibly powerful tool for business owners, especially with an estimated audience of 300 million engaged daily users watching IG Stories. Not sure if your ideal client is scrolling on the 'gram? With one billion active users, you'll have more luck bumping into them on IG than any other social media network. And with the app steadily adding 200 million users each year, it's crucial to make Instagram part of your business strategy. 3. Instagram is “Facebook’s New Facebook"
Want to launch a successful social media campaign? Instagram is the way to go. Every day, users share 95 million photos and videos amassing 4.2 billion likes in 24 hours. The amount of daily activity gives Instagram the highest ranking out of the three major social media networks (ie. Twitter, Facebook and Instagram). Meanwhile, Facebook's overall engagement lags behind with only 0.59% of the total audience actually engaging. Another factor that makes Instagram more profitable for freelance business owners is the REACH. Since launching its advertising features, Facebook has diminished organic reach and is basically a pay-to-play platform. The recent algorithm changes have made it harder to reach your followers, but you don't need to throw money at the app to get your posts seen. In fact, it's possible to promote your product and services without spending a dime. And if you do decide to boost a post or promote your website, you'll tap into their lion's share of 1 billion highly engaged users. More followers. More click-throughs. More sales. 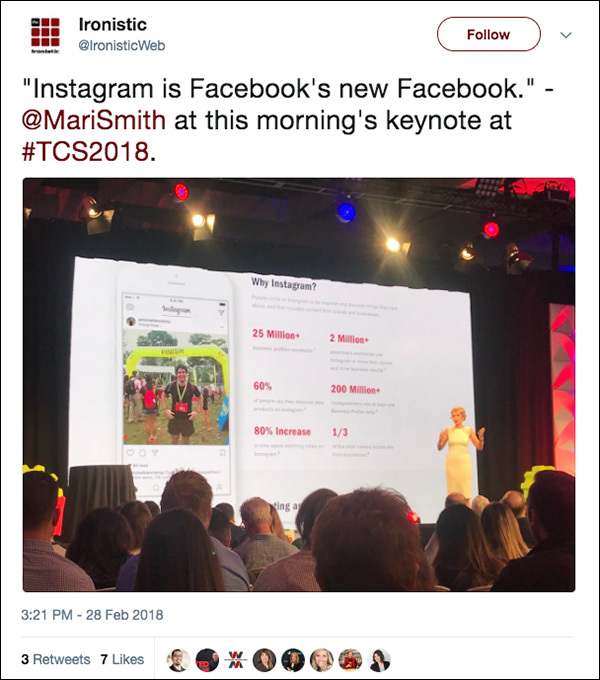 "Instagram is the most important platform to grow for your business in 2018." - Russell Brunson, co-founder of ClickFunnels. When Russell uttered these words at this year's Funnel Hacking Live in Orlando, I was in the audience. And honestly? I couldn't believe it. Here is one of digital marketing's most prolific influencers and entrepreneurs iterating everything I had been telling my InstaGrowth Boss students. And he isn't the only one. Neil Patel, founder of QuickSprout and all-around digital marketing guru, has similar sentiments. "You can start your account today, post about 3 - 5 updates that display your work, and message potential customers directly. Depending on your skill, experience, and pitch, you can close your first client by tomorrow and start minting dollars." 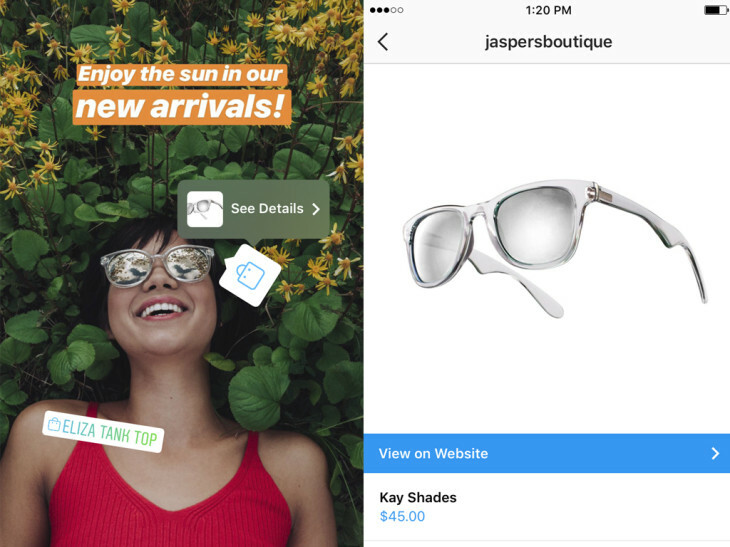 Even Shopify, one of the leading e-commerce platforms, thinks Instagram should be a vital part of your business strategy. Instagram isn't just a platform for posting your best selfies. It's a powerful business tool that can help turn your side gig into a full-blown business. Let the stats speak for themselves. Over ⅓ of Instagram users have used the app to make a purchase. This means that they are 70% more likely than non-users to buy online. But don't think of Instagram as just another social media platform. It's an extension of your business and the more present you are on the app, the more likely you'll reach potential customers. It’s not too late to master Instagram for your business! Don't panic if you haven't started using Instagram as a way to grow your business. If you've got a visual story to tell and want to grow a tribe of quality followers who will engage with what you have to say, there's still plenty of room for you on the platform. Sign up for my FREE Instagram masterclass and learn the secrets I've used to grow my account to 70K+ and counting.